Russia’s pre-1917 capital, St Petersburg, has always housed a vigorous and individual tradition of film-making which has often been over-looked in comparison to Moscow. The program, Nevaland, curated by renowned cultural and film historian, Professor Catriona Kelly, of Oxford University, will examine that tradition to celebrate the centenary of Soviet Russia’s first film Compression, the role of the city’s studio Lenfilm, and the century long legacy of Russia’s most imaginative city. Moscow is traditionally seen as the centre of the commercial film industry in Russia, dominating press coverage and film festivals and swallowing the lion’s share of political patronage and state funding. The proposed exhibition is intended to introduce a Russian and international public to the remarkable and largely forgotten tradition of films made in and about what Joseph Brodsky called ‘the renamed city’. It will be an immersive journey into the exceptionally rich cultural and artistic traditions of Petrograd-Leningrad-St Petersburg, to the links between cinema and the other arts – photography, graphic arts, literature, painting. But it will also act as a voyage into the city’s history, its battle with survival during the Civil War (1918-1921) and particularly the Blockade (1941-1944), and the flowering of creativity at different periods under duress. St Petersburg’s cinematic tradition enriched and drew upon a remarkable artistic culture embracing, among many other elements, the poetry of Anna Akhmatova and Joseph Brodsky, the prose of Daniil Kharms and Mikhail Zoshchenko, the music of Shostakovich, the graphic art of Anna Ostroumova-Lebedeva, and the city’s pared-down, cerebral school of modern architecture, exemplified by Evgeny Levinson and Igor Fomin’s First Residential House of Lensovet (1931-1934). While not all the works of art and literature to be cited are by locals (the way in which people not born in the city have grown to love and celebrate it is part of the story), emphasis will be placed on how this ‘renamed city’ has itself shaped responses. At the same time, it has remained in some respects intangible – hence the punning title, ‘Neva Land’, which points to the gap between reality and imagination as well as suggesting the ways in which they, like river and city, share a common existence. Curated by renowned cultural and film historian, Professor Catriona Kelly of Oxford University, Nevaland will celebrate the centenary of Soviet Russia’s first film Compression in 2018 by developing a programme of events to analyse the identity of the city of St Petersburg on film and the impact of film on the city. This programme is being developed in collaboration with the cinema section of St Petersburg Cultural Forum. Professor Kelly studies Russian literature and Russian cultural history, particularly Russian modernism, gender history, the history of childhood, national identity, and the recent history of Leningrad/St Petersburg. She has published a large number of books and articles in these areas. She also works as a literary translator, and writes for the general literary press (particularly The Guardian and The Times Literary Supplement). 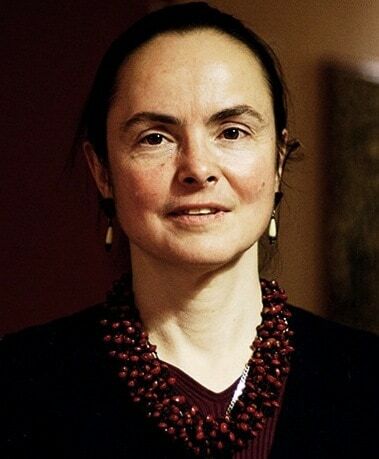 In 2013, she was pre-elected President of the Association of Slavic, East European, and Eurasian Studies, USA (ASEEES) for 2015, the first person not working at a US university to hold this position.